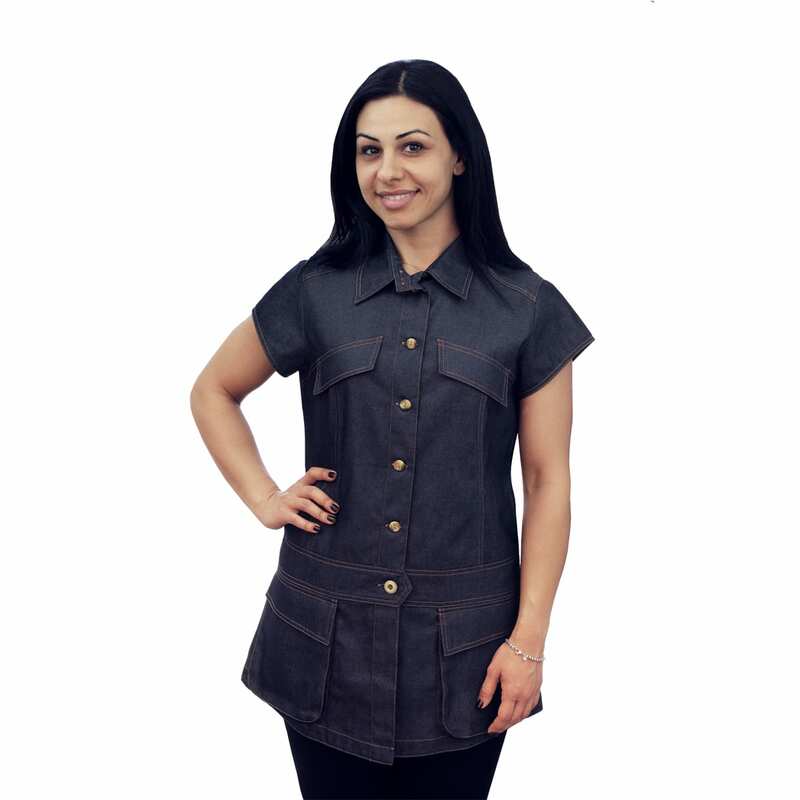 Made with imported Japanese fabric, this Blue Denim Stylized Chef Coat has anti microbial, UV protection, stain release and odor resistant characteristics. 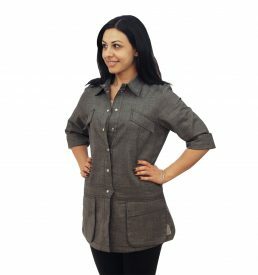 This coat also has gusset pockets at hip, buttoned waistband detail and decorative pocket detail at chest. 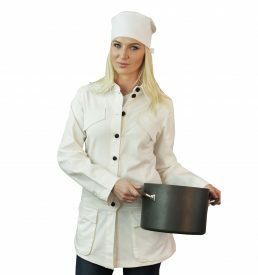 This stylized chef coat is meant to cater to the female chef looking for something designed to meet her specific needs in terms of fit and comfort.